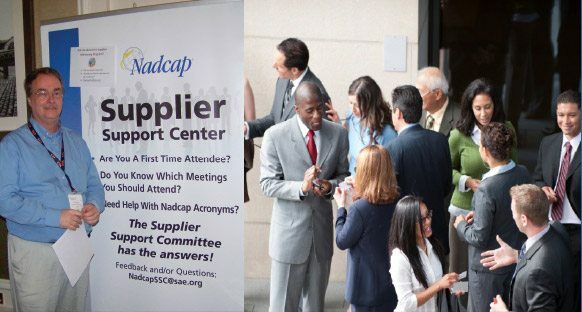 The Nadcap Supplier Support Committee (SSC) mission is to represent the Supplier community and work with the Nadcap Management Council (NMC) to enhance the effectiveness and economical value of the Nadcap system for the mutual benefit of Suppliers and Subscribers. Click here to view the SSC’s Mission and Vision Statements in their entirety. Need help making a business case to attend the Nadcap Meeting? Click here to download the business case. Have an issue or suggestion for the SSC? Click here to submit a request. A periodic global Nadcap feedback survey started in 2003. Survey results are used to improve the Nadcap system and further support Supplier efforts for the benefit of all. The SSC is made up of active Nadcap accredited Supplier volunteers from around the globe who are willing to help new Suppliers through the process, as well as assisting experienced Suppliers to establish, maintain and improve their accredited processes. Each special process/product Task Group has a Supplier member who represents the SSC to the Task Group and communicates systemic Supplier issues to the SSC. If you are looking for ways to get involved in the SSC activities and share your knowledge and experience with others, join one of the below SSC sub teams. Your participation is very welcome. For more information on the Nadcap SSC, please contact any of us.